Sometimes when you least expect it, expect it. That’s how wine sneaks up on me. Not like a bottle quietly tiptoeing behind me and then, “SURPRISE!” More of a coming across mentions of it while reading and thinking about the author’s experience with wine. Such is the case of the novel Light Years by James Salter. It was the pâté maison. “Oh!” he moaned. “Try it with mustard,” she said. They were having Meursault, fromages, pastries from Leonard’s. Usually with a luxury like pâté, red wine (particularly Burgundy) gets the nod. 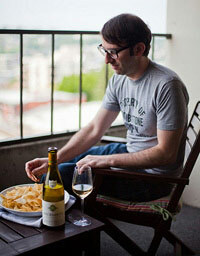 But a white wine from Burgundy, like the rich Chardonnays of Meursault, can be a great pairing as well. It’s a wine with enough stuffing and substance to handle the power of pâté. And with a judicious swipe of mustard, a chilled white wine sounds even better. What Salter’s passage reminded me of is that so many “red wine” foods are actually great with white wine. Steak? You bet. Pizza? Hell yes. But Salter’s not a one-wine pony. Dang, I’m only halfway through this book and there’s already mentions of Margaux and ruminations on Retsina (!). 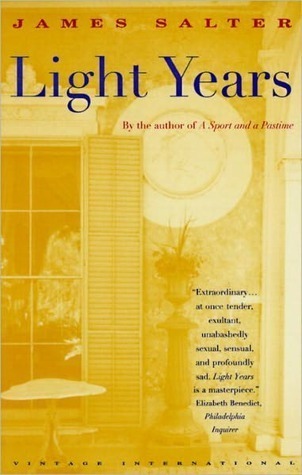 Have you read a book where a scene with wine made an impression on you, like Light Years by James Salter did for me? Let me know in the comments.